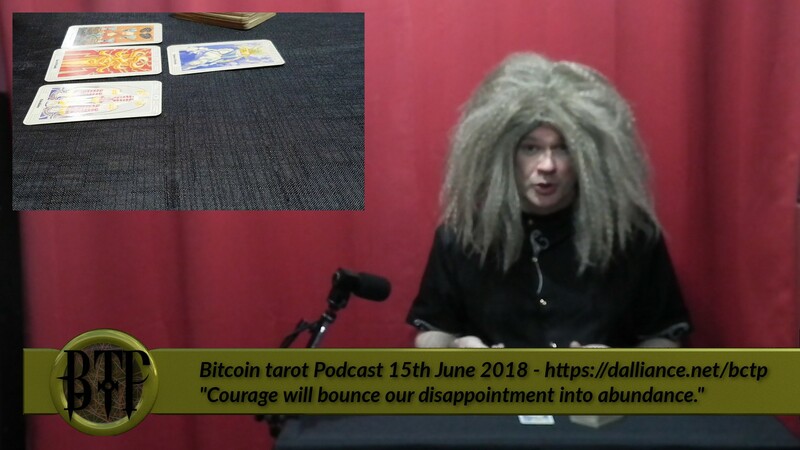 Last week the cards suggested that bitcoin was strong and would overcome it’s fear to bring in new money, then the price dropped like a stone. What is Cosmic Conroy’s excuse? Find out in this week’s slightly-late reading. [Synopsis] Courage and ruthlessness will bounce our disappointment into abundance.